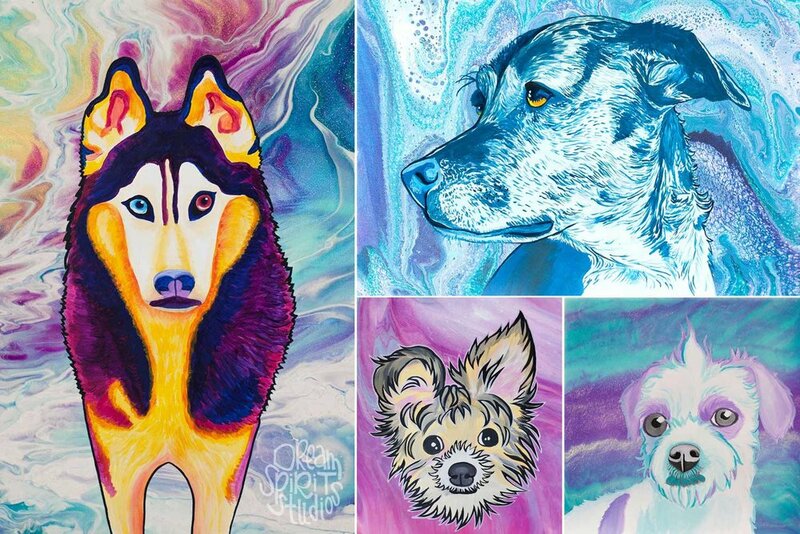 Medley of colorful, caricature-styled dog portrait paintings against acrylic poured backgrounds. I am so over the moon elated to bring you the best of my two favorite worlds: fluid painting, and dog portraits, together now as one piece of art. Know someone who'd enjoy a custom piece to commemorate the life of their bestie, and add a splash of color to any wall space?! Feel free to share this post!